This entry was posted on October 31, 2018 by Zoe Thomas. Health secretary Matt Hancock has called for businesses to give staff sit-stand desks to help put an end to dangerously sedentary lifestyles. 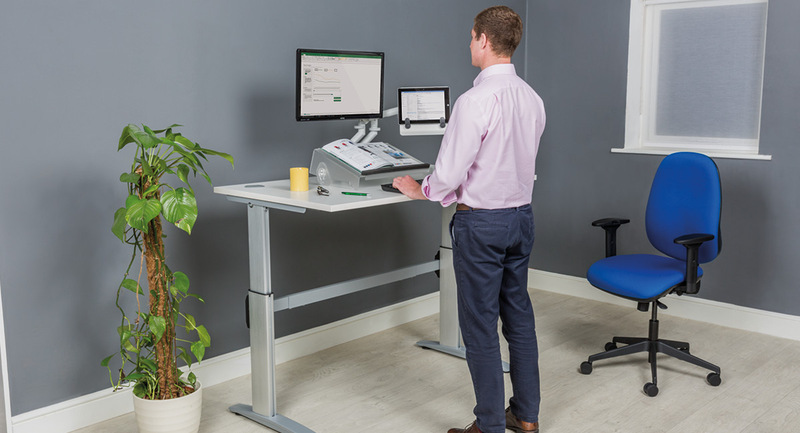 Speaking at the seventh International Society for Physical Activity and Health Congress (ISPAH), the health secretary revealed that he himself uses a sit-stand desk and has enjoyed the increase in activity levels and productivity. “Workplaces can make a difference; encouraging breaks, offering standing desks, having standing meetings - which in my experience tend to finish quicker too," he told the audience. “I know from personal experience that having a standing desk can help you get some exercise and improve your productivity at work." Sitting for more than eight hours a day is thought to increase the risk of premature death by up to 60%. Sedentary behaviour is linked to a long list of health conditions, including high blood pressure, high cholesterol, diabetes, cancer and cardiovascular disease. Office workers are at particular risk of these problems due to the nature of their work. In fact, recent survey results by our partner Fellowes revealed that 64% of office workers believe their working environment had a negative impact on their health, with a further 45% saying their employer did not offer the necessary tools to help them feel comfortable at their desks. Shockingly, almost half of the 1,250 people polled (45%) did not think their employer cared about their health and wellbeing, and better ergonomic equipment would help them feel more valued. Employers stand to gain from encouraging physical activity in the workplace. As well as improving health in the long term, incorporating more movement into the day reduces the risk of poor postures and resulting musculoskeletal disorders (MSDs), such as back pain - still a massive cause of absenteeism across the UK. Mr Hancock went on to describe exercise as a 'miracle cure' which GPs, schools and parents should be advocating. To find out more about incorporating physical activity into your working day, please visit our active working page.